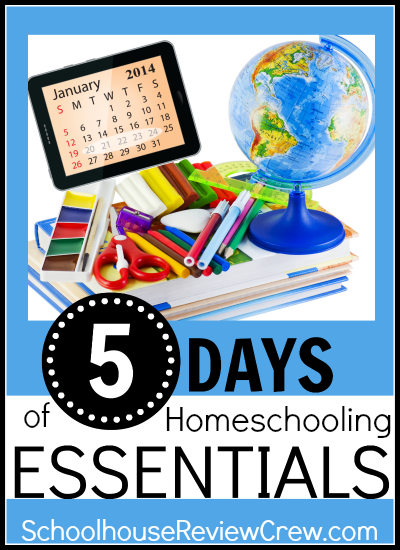 This week, the Crew is blogging about "Homeschooling Essentials," and sharing the things they couldn't homeschool without. Today, I want to discuss adaptability, something that I think is absolutely essential to having a successful homeschool. The best part of homeschooling is being able to tailor to the individual child and situation, but sometimes that's the hardest thing to do as well. 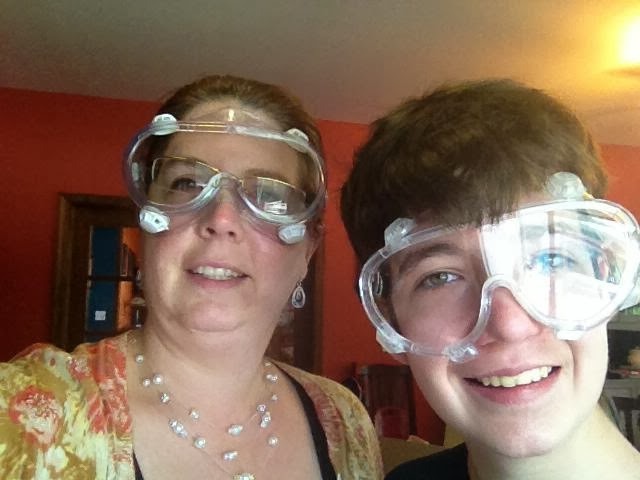 First, we never expected to homeschool. 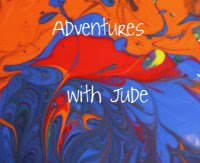 When it became obvious that Jude wasn't going to be best served in a group setting, it was adapting to just becoming homeschoolers. Homeschooling wasn't something we were against, it just wasn't something that ever seemed right for our family before. Each of our children are about three years apart in age. When one turned four, the next youngest was a year old. The four-year-old went to school, the one-year-old got 1-on-1 Mom. When Jude came back home, we had to adapt our thinking to having both a bigger and a littlie at home. We had to adjust Jude's lessons around Damien's hospital visits and sometimes errratic naptime schedule, and rearranging playtime and outings Damien and I were doing to fit in Jude's lessons. At first, I was extremely nervous, thinking "We are doing all of these activities that he'd be doing in preschool - read a book, a couple of crafts, some phonics, some math, a page of copying - and he's done in an hour and a half! Are we doing enough?" Another homeschooling mom pointed out to me that if we took a potty break, it was a minute for him to run to the bathroom. It wasn't fifteen minutes to line everybody up and make sure 20 sets of hands were washed. We didn't have to pause after each page to show the illustrations of the book around -- Jude and Damien were each curled up under an elbow looking while I read. When we planned to paint, Jude dressed for the day in appropriate clothes - we didn't need to smock up. I had to change my "School should take a full day!" thinking to "Lessons take as long as Jude needs to learn them." Then when Luke came home, it was adapting all over again. It was fitting in two students, and for me, a crash course in high school requirements and teaching. With kindergarten under our belt, I figured we'd get to high school long after first grade. Suddenly, I had a first grader and simultaneously a sophomore! We had to sort out lessons for Luke, and fit them in our days. For Luke, it was sorting "Teacher Mom" from "Mother Mom.". The first few months were rough - and we still have our times where I have to point out that he wouldn't treat one of his old teachers with the same disrespect or attempt to weasel out of things that he does with me. There's been adapting the schedule, too. There have been some odd dinner times, trying to schedule meals around Luke's Spanish lessons. The other kids have had to learn to turn the volume down on their playing when Luke's online; just because they are done their homework and want to run wild doesn't mean everyone is done school for the day. Hands on learning instead of books is how Jude learns best. Finally, with Jude, we've had to change our thinking. When we first started homeschooling, we had thought Jude would go back in a year or two, so we tried to keep our activities and pacing on the same schedule. As time has gone on, it's become apparent that that's really, really unlikely to be an option. I'm OK with that. But because of his issues, it means that as much as I look at him and say "The calendar says he's almost seven, he should be reading," I also have to look at the reality of all his testing and say "But the evals say he's closer to a three-year-old, and I wouldn't expect an average three-year-old to open a chapter book and start in on it." We've decided that instead of worrying about "Is he reading?" we need to worry about "Is he learning?" For the moment, we've decided to put "learn to read" aside (we're still working on pre-reading language skills), and focus just on getting him to learn in whatever way works. Homeschooling really is a different way of thinking. If you're new to homeschooling, especially if you're coming from public or private school, don't give up!! It takes time to adjust, and even the most seasoned homeschoolers find themselves often retooling plans. But if you keep an open mind, you'll be able to change your plans and be successful homeschoolers. There are 89 Crew Members sharing what they think is essential to them. That's a LOT of reading. It would be awesome if you could read all 89 blogs, but almost 450 posts in one week is a tall task. However, to make it a little easier for you, we've divided ourselves into smaller groups. I'd love if you'd take a few minutes to visit the others in my group - I know there are MANY great ideas. 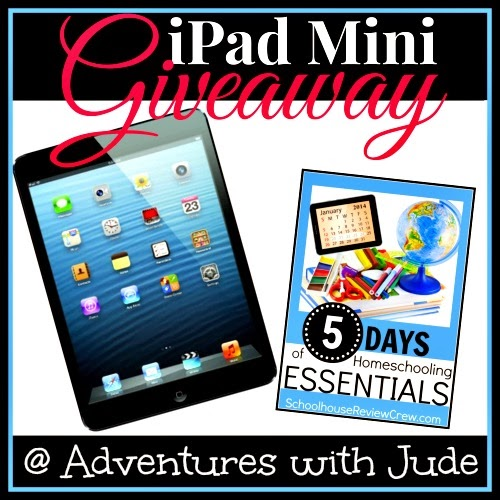 Don't forget to enter the giveaway I'm co-hosting - enter to win an iPad Mini! In our house, an iPad is a homeschooling essential, too! What an awesome post! I remember when Jude came back home....you have done such an amazing job at adapting - if anyone could write this post....it would be you. Thanks for sharing your heart. Love your post! It's easy to forget that one of the beauties of homeschooling is to customize the learning for a child's needs. With another son getting ready to start 'school' in a year or so, I'll have to remind myself of that fact and not assume he'll thrive in the same learning environment as his big brothers. I am doing a similar post in my essentials on Wednesday! I think you hit on some excellent points regarding the importance of it--and it sure sounds like you are a pro at it by now! Thanks for sharing! Meeting my kids needs is the number one reason I homeschool. 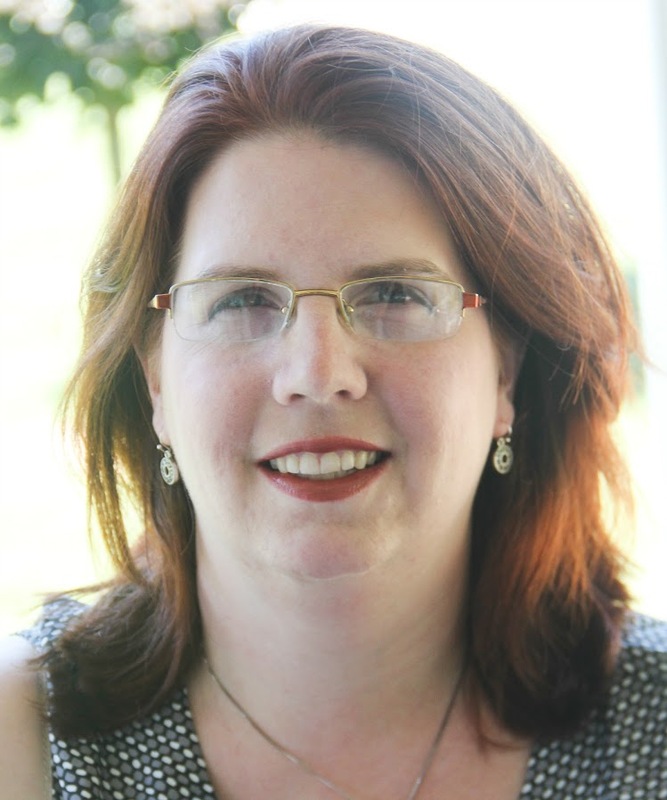 When starting homeschooling, adaptability isn't always n a parent's mind. It's good to know that it's okay if things look different than in a school setting.